site news | 2P START! Well, there are no new Valentine’s this year, but that doesn’t mean the previous ones aren’t still great! 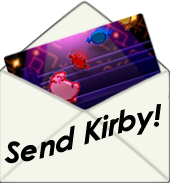 If you wish, you can email a V-Day card to a friend or foe by clicking on the image you want to send and filling out the form. If you want to print them out, here are all the valentines zipped up. Enjoy! P.S. – Today is the 4-year anniversary of our first comic. Hard to believe! Ray Relives a Year of Sonic on the Spindash Podcast! 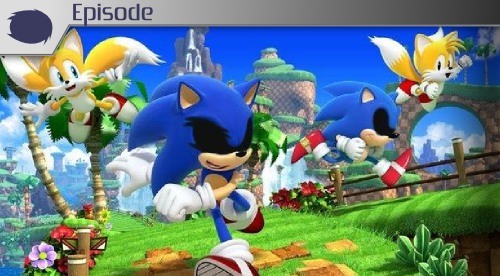 Ray has once again geeked it up on the Spindash Podcast with GXEchidna and friends, this time diving deep into the issues of Sonic 4 and Sonic Colors. Of course, this won’t be like an episode of 2P START! Live! 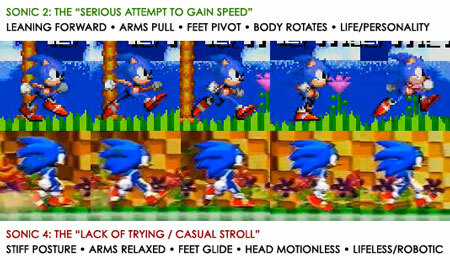 where a sane person (myself) stops Ray from going off too far on one of his Brawl or Sonic tangents. No, this is a podcast where a Sonic geek just spurs another Sonic geek on and on until the next Sonic debacle comes out. That’s when the recording will stop so they can criticize the new game and start all over! So if the above image is interesting to you or if you find yourself wishing Tim wouldn’t stop Ray’s maniacal rantings, click here! Happy Halloween everyone! Thought it would be appropriate to remind you all that you can still send out Halloween cards (based on last year’s ‘Halloween Safety Tips‘ comic) to your gamer friends by clicking the images above. 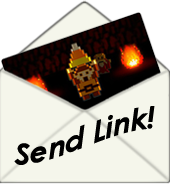 Just click on the thumbnail of the one you want to send and fill out the form. Enjoy, and have a safe, fun Halloween! SketchNation Shooter Free Today Only! Lace’s first appearance in a real live videogame came in the form of DLC for the iPhone game SketchNation Shooter. Well, today it’s free! This is your chance to see what you think of the game and consider buying the Pixel Vision Art Pack for a buck. Have fun! 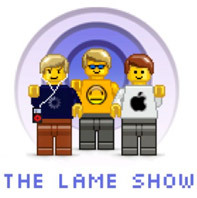 The Lame Show: Ray’s Return! Ray recently made a guest appearance on his brother’s podcast, The Lame Show which we’ve linked here for you to enjoy. In the episode they discuss the iPhone 4 ‘Antenna-gate’, videogames as art, Inception, and other random musings. Check it out! Pixel Vision Art Pack in Sketch Nation Shooter! iPhone developer Engineous Games approached us a couple months back to have us create an art pack for their new game Sketch Nation Shooter, an ambitious iPhone game allowing users to create their own shooting games. Ray and I both instantly though of Lace as being the perfect fit for such a project, thus Pixel Vision’s first playable form arrives! Now, it’s certainly not the full-fledged title we dream of some day having for our heroine, but it IS a way to allow fans to get creative with Lace, Anti-Alias, her evil forces, and a surprise end boss (Who is behind these evil forces? Be ready for the shock of your life!). The game is just 99 cents, and the Pixel Vision Art Pack is an additional 99 cents as DLC (ironic if you listen to our podcasts). We deeply appreciate anyone who chooses to buy the art pack and look forward to the games you guys create with it! Because we love you all so much, we’re even going to make it easier for you to support Ray’s hard work! We’ve got a handful of promo codes for Sketch Nation Shooter to give out to our fans and will do so over the next week through our Twitter accounts. If you haven’t done so yet, follow me and Ray for your chance to win the game (we’ll tweet the deets). You’ll still have to buy the art pack to play as Lace, but the game itself is free. It’s been almost a month since 2P FINISH! but honestly, it feels like a distant memory. I guess I’ve just been real busy over the last few weeks and haven’t had much time to reminisce. 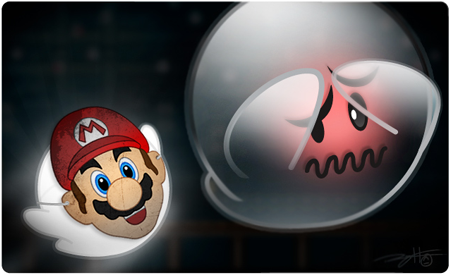 Ray has posted a new BRAWLOL as seen above or on the BRAWLOL page. 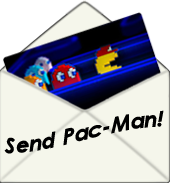 We’ll also be recording some thoughts on E3 tonight as well as a Lost analysis in the next week or so. We’re going to talk about those things anyway, so might as well record it and share it with you guys! Anyway, hope some of you are still around to enjoy! This should have gone up last week, but things got busy. I ought to start archiving these. There’s some continuity involved, so to understand fully, make sure you’ve read the last couple. Enjoy the Tim’s Take. Just a heads up that the podcast didn’t get recorded this weekend due to Easter. We’ll be recording something tonight, less edited than usual. You should probably just plan on listening to it tomorrow as we won’t be done recording until about 9PM PST. To tide you over, I’ll be posting a Tim’s Take in the next few hours!